Last week we had the joy of meeting our brand new nephew for the very first time. We made a trip to the hospital the day he was born for some first snuggles and to introduce the kids to their baby cousin. 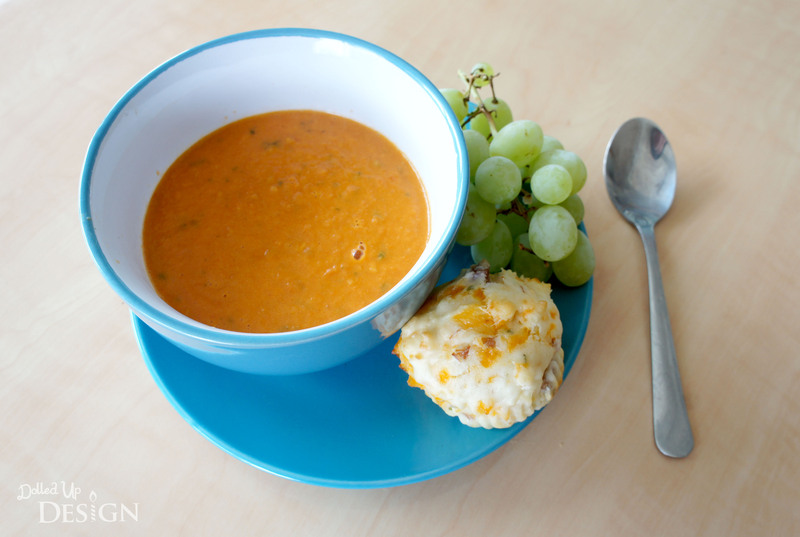 It was a quick visit, and now that mom and baby have had time to settle in at home, I decided to offer to bring the family dinner and their baby gift. For dinner, I had planned to bring stuffed baked potatoes and steaks to grill, but it ended up being rainy so I opted to bake ham and scalloped potatoes. 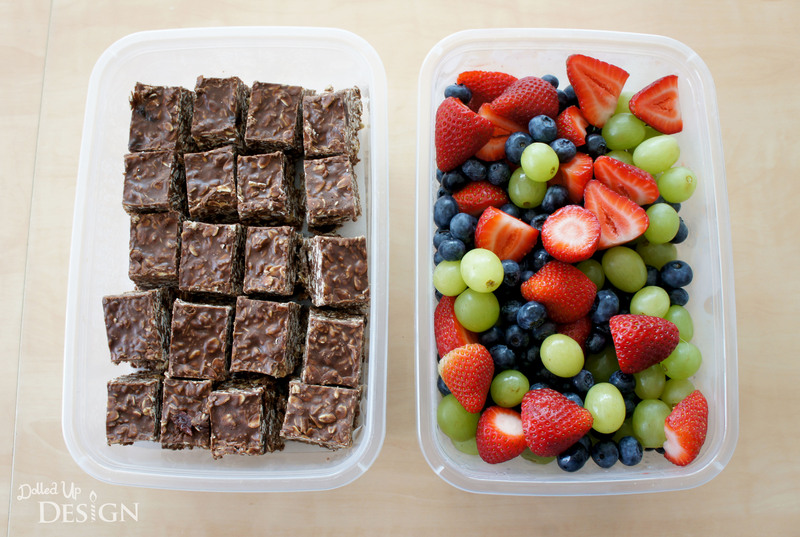 My sister in law also mentioned they had a bit of a rough first week so I decided to cook up a few other items to leave with them. 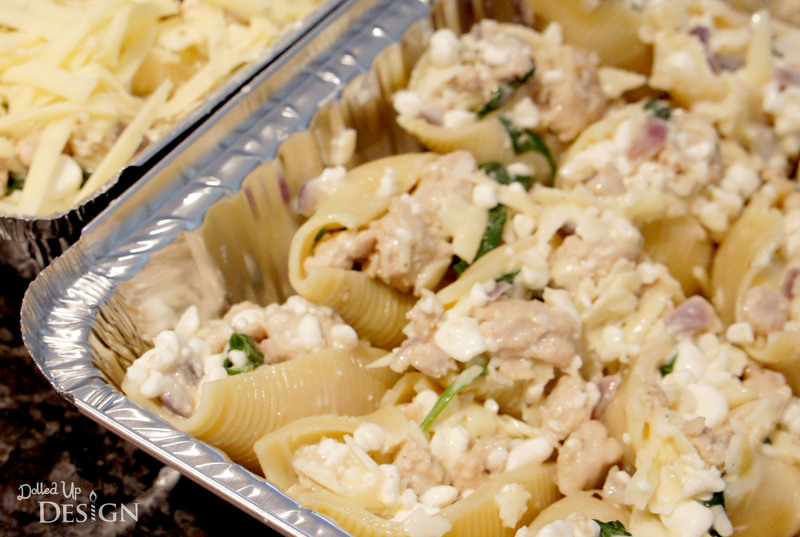 I ended up making a big container of cut fruit, some no-bake chocolate granola bars, ham and cheddar cheese muffins, a batch of tomato basil soup and a tray of stuffed pasta shells. A good friend of mine stocked my fridge when I was in the hospital having my son and it was one of the best gifts I received. It was nice to -e able to pay that forward to another new mom. For the baby gift, I will admit that I totally left it to last minute and it was only half finished when the little guy arrived. I was struggling to come up with the perfect gift for the first time parents and wanted something both cute and useful. 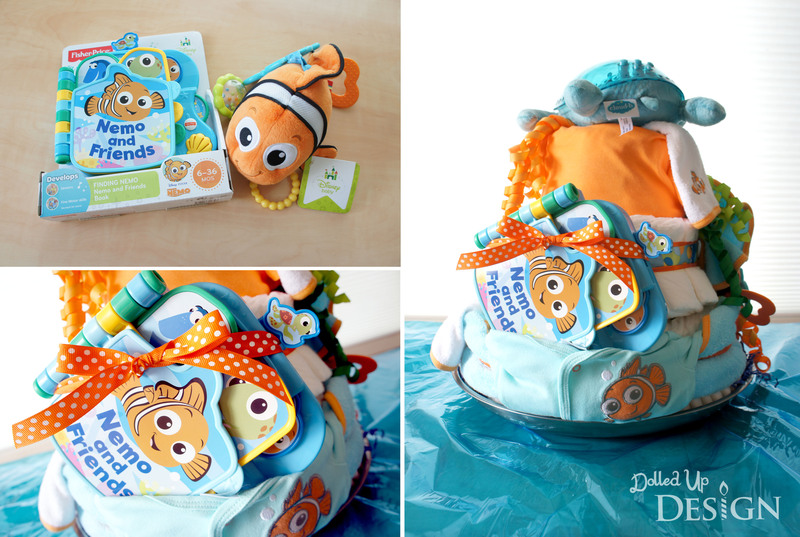 There were a lot of small things on their registry they still could use so I decided to go with a bunch of smaller items and assemble them together in a diaper cake. 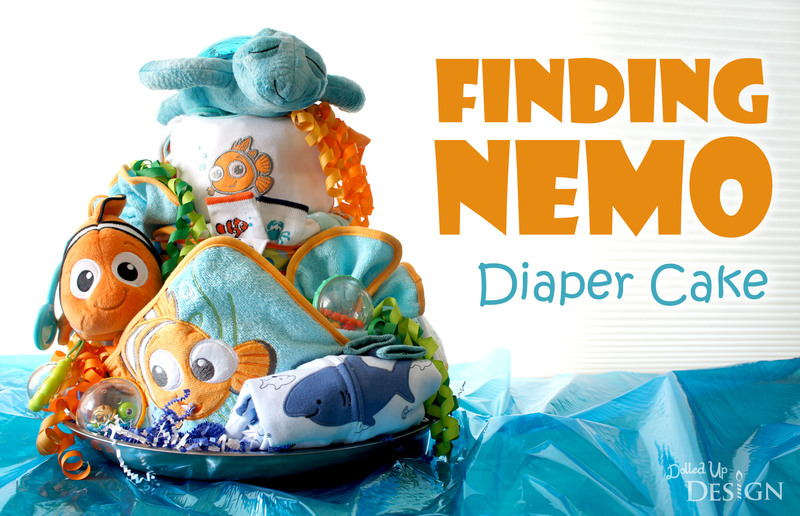 This was my first attempt at a diaper cake and I was surprised by just how easy it came together. 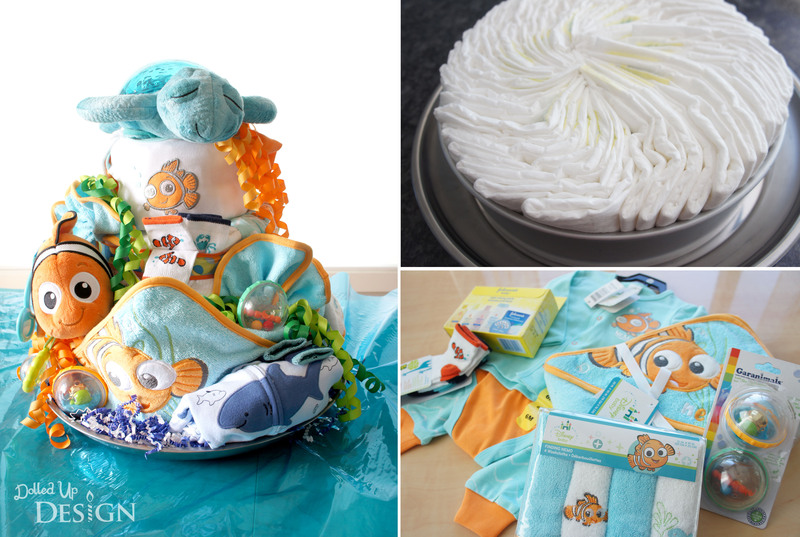 I already had various sized cake pans available, so I used the spiral diaper cake method shown on Fun Baby Shower ideas and more. It was hard not to completely spoil baby (I miss buying little stuff!) and I may have gone a little overboard with the accessories once I decided on my theme. 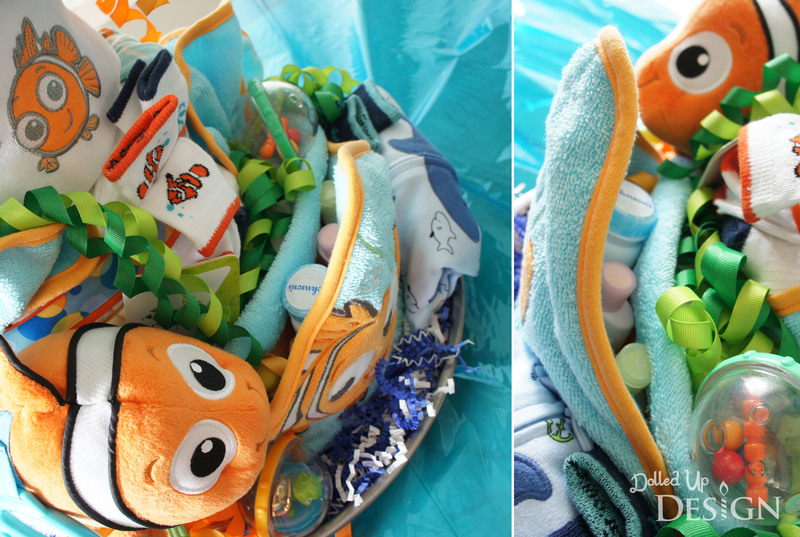 I had already bought the Finding Nemo outfit from Costco and when my sister in law mentioned they could use more towels and washcloths for baby I was delighted to find the Nemo themed ones on their Babies R Us registry. I was able to incorporate the hooded towel into the bottom layer of the cake and folded a couple of the washcloths up like seashells on either side of the middle layer of the cake. I also tucked some travel sized lotion and shampoo into the towel because I know they came in handy when my kids were little. The clear bubble shaped bath toys made cute accessories on the cake hidden amongst orange and green curled ribbons. I found the ribbons at the Dollar Store and knew immediately they would make the perfect seaweed/anemone’s on my sea themed cake. At the bottom of the cake, a not-so-scary shark peeks out from the front of a rolled up sleeper. When it comes to babies, you can never have too many sleepers. 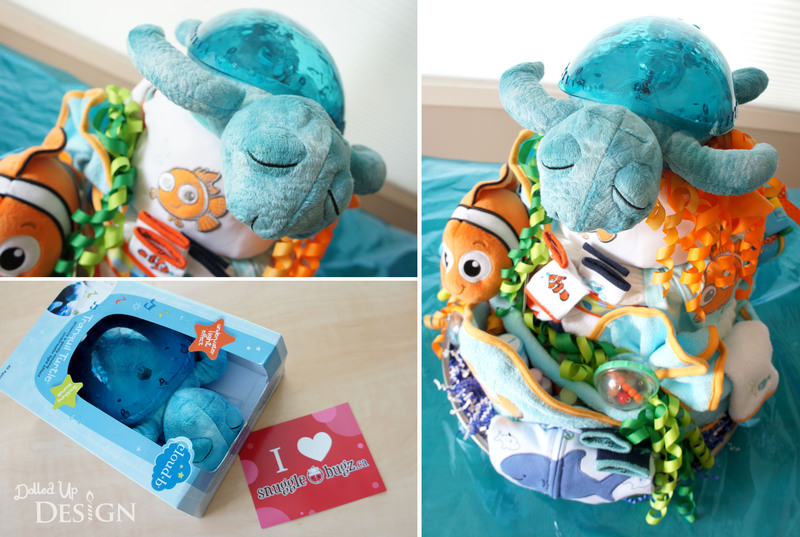 For the cake topper, I chose another of their registry items – the Plan B Tranquil Turtle. Well, technically, they had registered for the Twilight Turtle, but the sea turtle themed Tranquil Turtle just fit so perfectly with my Nemo theme! My kids have the Twilight Ladybug and Turtle and they have gotten a lot of play. It is by no means a necessary baby item, but I do know it will be enjoyed by baby Colton for years to come. 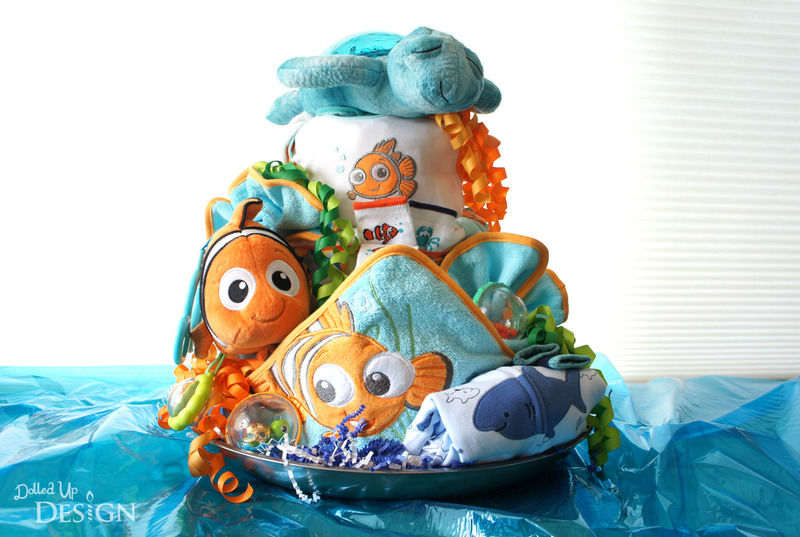 Other fun items I also included on the cake for baby were a Nemo rattle and a talking Nemo and Friends book. And I lucked out at Dollarama when I came across these great clownfish, shark and crab themed socks. They are expandable socks that I have purchased with both my kids and really loved. They fit for a long time and are nice and snug to stay on those little feet! 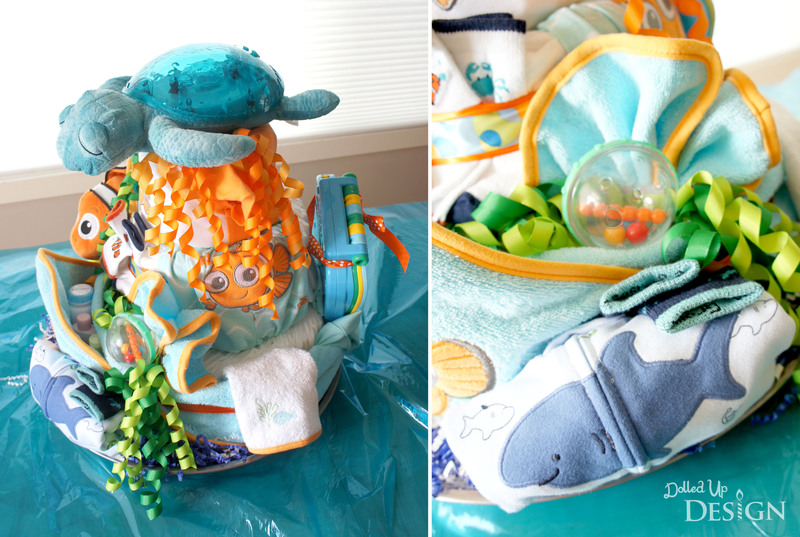 I had a ton of fun making the diaper cake and it turned out even cuter then I could have imagined. My brother in law and his wife share my love of Disney/Pixar so I knew they would like the theme. None of the items in my gift were particularly special or unique, but I think it all came together for a pretty impressive gift. My 5 year old was beyond excited to bring the final cake to his new cousin. We are through the baby stage, so I am so glad to have this new little guy in the family. 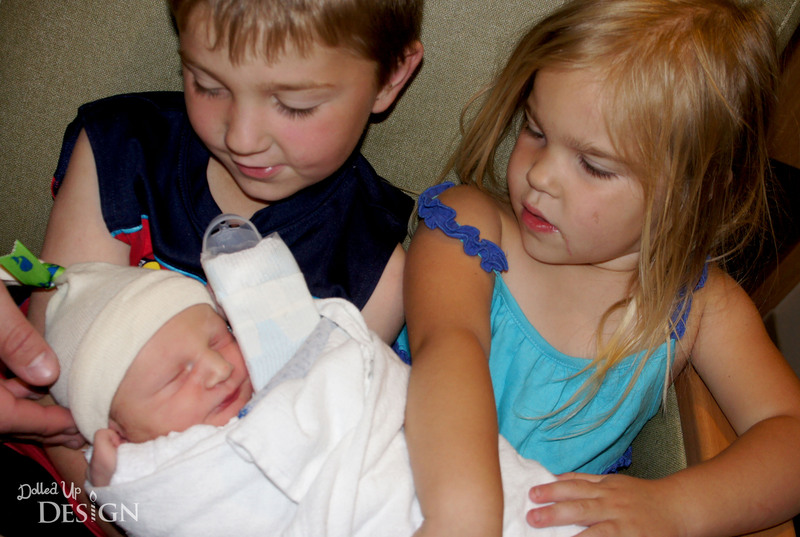 My kids seem pretty enamoured with their new little cousin and I am so excited to watch him grow. My sister-in-law and brother-in-law have been a fantastic Aunt and Uncle to our kids, so I have no doubts that they are going to be absolutely amazing parents!